On December 1st 1920, the people from Braşov – through the voice of their mayor, Mr. Karl Schnell – have given the castle as a present to the Romanian royal family, in whose possession the castle remained for the next twenty seven years. After becoming property of the royal family, between 1920 -1930 the castle suffered a series of architectural renovations, aiming to transform it into a modern summer residence. The renovation works were lead by the Czech architect Karel Liman, who also worked at the castles Peleş and Pelişor. Two towers for stairs were added, the bulwarks and the shooting gaps became windows, the stoves and the hearths became modern fireplaces. In order to make it inhabitable by the royal family, the Bran Castle was equipped with all utilities compulsory in a genuine royal residence. The water was supplied by the 57 meters fountain dug in the inner court of the castle. The illumination of the castle was insured by a turbine power station, built by will of Queen Maria in May 1932, to which the communes Bran, Şimon and Moeciu were also connected, “poor and strictly Romanian communes, who wouldn’t have had such an advantage in the near future”, as shown by a thanking letter sent to Queen Maria by the inhabitants of the three communes. The turbine – manufactured by the Voith Company – was brought into operation on August 29th, 1932. A water power station of 85 hp was also built on Turcu River in December 1932, to illuminate the castle and the surroundings.The communication with the exterior was facilitated by the existence of three telephone stations in the castle. The telephone system and the telephone exchange were altered and replaced in 1941 and 1944, at the request of Princess Ileana. Since the castle had – besides basement and ground floor – four floors, it was equipped with an elevator, same as the Peleş Castle. The elevator was set up in order to facilitate the queen’s walk from the park to the castle. A cable way was installed for an easier communication with the Tea House, carrying from the castle kitchen the food the queen and her guests helped. The house was equipped with plumbing for cold and warm water, with electric light and sewerage, being specially fit out for small receptions in a natural frame. The Bran Castle, as many other palaces and castles, is the place where the architectural imaginative view of Queen Maria has fully manifested. Thus, there were built a hunting house, a wooden small church, a wooden house (with seven rooms) and … two bawdy houses (one for the queen and one for Princess Ileana. The Bran Castle was – next to the Palace from Balcic – the dearest residence of Queen Maria who, due to her imagination, changed the solid and unwelcoming fortress into a warm, modern and comfortable summer dwelling. The queen’s favorite field of interest was the decoration of the interiors, the saloons from Pelişor and Cotroceni baring the stamp of the style imposed by the sovereign. The Bran Castle has also experienced such changes, although the rigid architecture of the castle did not allow too many changes of the interiors. Yet, one might remark: The Large Room, actually a dinning room decorated in the style of the German Renaissance, The Yellow Saloon of Queen Maria, The Music Saloon, The Tyrolese Room of King Carol II, The Saxon Room of Prince Nicolae, all these revealing the sovereign’s taste. In the series of all these changes is enlisted also the building of several outbuildings around the castle: The Tea House, built out of wooden beams (144 m2), The Guest House, built of rough stone (78 m2), the house of Princess Ileana’s children (43 m2), the private new house (176 m2), the staff house (378 m2), the stables for horses and six garages. The castle was inhabited only by some of the members of the royal family, who benefited by separate sweets. Queen Maria stands out between them, occupying an apartment made up of hall, dressing room, two saloons (including the yellow one), bedroom, bathroom and dinning room, apartment where the sovereign collected all sort of art objects (sets of china, icons, statues, paintings, books). Being a faithful person, Queen Maria set up at Bran – actually, at every royal residence she occupied – a chapel, whose painting works were made in November 1927 by Artur Verona (remunerated with 200.000 lei). The chapel – equipped with an altar sculptured in golden wood, an iconostasis, a chandelier, three pews, three candlesticks, two crosses and two icons – was, next to the wooden little church besides the hunting House, the place where the queen used to meditate in the moments of distress. Bran was also the place where, the fall of 1940, the casket with the queen’s heart – brought from the “Stella Maria” chapel from Balcic - is deposited, by care of Princess Ileana, in a specially made niche in the rock besides the old wooden church.In 1995, a commemorative inscription was set on the crypt’s wall, in order to remind visitors that – for a while – the casket containing the queen’s heart was deposited here. In memory of her beloved mother, whom she loved very much, Princess Ileana succeeds in May 1941 to deposit at the chapel the mortal remains of prince Mircea, thus fulfilling an old wish of her mother. Queen Maria transformed not only the castle, but also the park of the Bran Domain, that was arranged by her plans and taste. Flowers were the queen’s great passion, all royal residences having modern greenhouses being equipped even with central heating for winter time. Such a greenhouse and small rose garden were set at Bran, in July 1922, by the company Klof & Co from Codlea, observing the plans of the architect Karel Liman. The flower transplants (roses, dahlias, chrysanthemums) were also delivered form Codlea but, for some rare species, they ordered from abroad (Erfurt and Reading – England). The chief gardener of the castle was Petre Conrad (who had a monthly wage of 3.691 lei), and the chief of the Bran Royal Park was – until 1938 – Constantin Pamula. The queen considered populating the lake not only with trouts, but also with swans. Colonel Spiess received 3.113 lei, using them to bribe the guardians from the Old Fortress and paid the frontier guards who helped catching the graceful birds. The swans caused great problems to the queen, leading to an actual conflict with the inhabitants of Bran. Once, because a swan was eaten by dogs, the men from the castle shot the pedigree dogs belonging to the private persons from the area, who addressed directly the queen, in a protest. The queen also liked horses, being a horsemanship fan, sport she frequently practiced in the castle’s park or on the riding fields from Braşov. In Queen Maria’s time, the Bran Castle reached its glory as a royal residence. The Bran Domain was extended by the queen, by buying or transferring property rights over the hay fields around the castle. In 1934 the queen bought the Forest Măgura. Another domain that belonged to the queen was Copăceni and she also owned the riding fields in Braşov.The total surface of the Bran Domain – evaluated after the queen’s death – was 134.5 hectares, plus 105.6 hectares of forest (beech trees and pine trees), 53.7 hectares of grassland and 1.15 hectares of hay field.As long as the queen stayed in Bran, she constantly tried her best to help the surrounding villages and their inhabitants. A large number of villagers worked by day on the Domain, in the park, in the gardens or at diverse works that were done at the castle in that period, being remunerated for their work. After the power station was initiated, three villages from the area (Bran, Şimon and Moeciu) were connected to the new network, the Vocational School from Bran benefiting from illumination for free. The tradition of helping the surrounding villages was kept by her successor at the castle, Princess Ileana. In June 1939, she agreed to let a House of Culture for the inhabitants of the Bran commune function in four rooms of the ground floor from the castle. During Queen Maria’s period the castle was not only a summer residence, but also the place where royal receptions and feasts took place. For example, in 1934, the menu of such a feast contained: one rabbit, seven doves, fifteen chickens, one hundred twenty eggs, ten kg sturgeon, seven kg melons, etc. Queen Maria passed away on July 18th 1938, thus ending a glorious age in the history of Romanian monarchy. Although she had arrived in the country only the day before, the queen manifested her will of going to Bran and Balcic, her favorite residences. The King Carol II noted in his diary “She tells us how happy it makes her to have returned home and how she wishes, after a short rest here (at Pelişor), to go to Bran and Balcic”. Unfortunately, her last wish could not be fulfilled. The queen elaborated a will and a letter addressed “to my country and my people”. The text of the Letter addressed to the country constitutes an emotional moral will – a supreme testimony of the queen’s love for the people she was chosen to lead. In the same document Queen Maria expresses for the last time the passion she used to build and set up her two favorite residences – Balcic and Bran – , manifesting her wish that her heart should be “brought and placed in Stella Maris, the church I have built by the sea”. Through her second will, Queen Maria left the Bran castle to Princess Ileana. The Princess – who lived with her husband, Anton of Habsburg, in the Castle from Sonnenberg (Austria) – will not arrive in country in time to find her mother alive. She will still participate to the funeral that took place at Curtea de Argeş. “For me – she will later remember – she was my mother, my queen and the best friend I ever had”.On August 3rd, 1938, after the queen’s death, the architects D. Antonescu and Eugen Dimitriu have issued the evaluation document of the Bran domain. The castle was evaluated at 4.967.500 lei, the land at 5.800.000 lei and the other buildings belonging to the complex at 9.264.500 lei. Altogether, the Bran Domain was worth 20.032.000 lei. After a week, on August 11, the official partition was made, the castle becoming property of Princess Ileana, who will permanently return to the country only after the abdication of King Carol II, in September 1940. 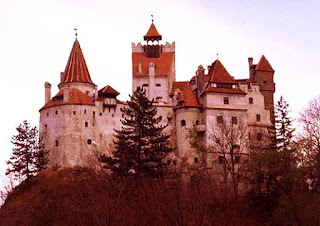 The Bran Castle had a different evolution during the nine years when it was property of Princess Ileana. Things developed quite normally, but the ostentation and the rigor imposed by Queen Maria were gone. Until 1941 general Eugen Zwiedineck, former master of Queen Maria’s court was appointed to administrate the domain. After 1941 he was replaced by Carol Guttman, the ex administrator of the Balcic Palace. Breaking the tradition of the matrimonial alliances her brother and sisters had made with members of the Balkan royal families (Carol got married in 1921 with Princess Elena of Greece and Marioara with King Alexandru II of Yugoslavia, in 1922) – which made Queen Maria be known as “mother in law of the Balkans” – Princess Ileana will marry on July 26th 1931 the archduke Anton de Habsburg (1901-1988). The ceremony took place at the Peleş Castle from Sinaia, after which the bride and the groom made a trip to the Bran castle. It was the last marriage of a member of the royal family to take place in Romania. The joy of the two spouses of spending more time in Romania was short because – under the pretext that the presence of a Habsburg on the territory of Romania might cause unpleasant incidents in Transylvania – King Carol II did not hesitate to ask her sister to establish her residence abroad. At first, even the diplomats from the Romanian Legacy in Vienna were forbidden to get in contact with Princess Ileana, trying to completely isolate her. It was a subtle way of estranging her from her family and especially from her mother, Queen Maria, situation that deeply affected the Princess. Not having permission to enter the country except for special ceremonies of the royal family requesting her presence, Princess Ileana will comfort herself with the idea of losing her native places and will try – together with her husband, Anton of Habsburg – to set up happy home, although she confessed that “I had enough reasons to remain constant in my old loyalty towards Romania”. A comfort for this sensitive soul came in 1934, when the two spouses bought the four hundred years old castle from Sonnberg, situated at fifty kilometers from Vienna, who “became our most beautiful house”. The princess lived at the Sonnberg Castle together with her and the archduke Anton of Habsburg’s six children: Ştefan (b. 1932), Maria-Ileana (Minola) (b.1933), Alexandra (Sandi) (b. 1935), Dominic (Niki) (b. 1937), Maria-Magdalena (Magi) (b. 1939) and Elisabeta (Herzi) (b.1942). During the Second World War – while her husband serves in the German army, being taken prisoner – Ileana works as a nurse, the way her mother once did, during the First World War. Near the Bran Castle she sets up a hospital (where she will care for the wounded) she will name “Hospital of the Queen’s Heart”. She will write a book of memories about this episode of her life: Hospital of the Queen’s Heart, published in New York, in 1954. Decades later, when she returned to her homeland, in September 1947, Princess Ileana – now Nun Alexandra – will visit the Bran Castle, finding the hospital in ruins and the little wooden church pulled down. Once King Mihai I abdicates on December 30, 1947, Princess Ileana – along with her husband and children – will leave Romania, leaving the Bran Castle in the custody of the Romanian state, who transformed it into a museum (1957).